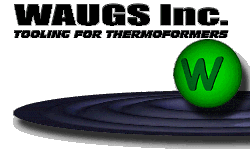 WAUGS Inc. is a specialized machine shop located in Ashland, Ohio with over 25 years experience providing our customers with superior service. 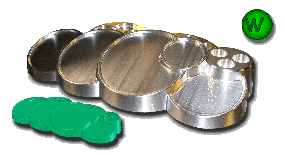 Our areas of expertise include tooling, design and manufacturing for the thermoforming, heat seal and rf processes. We are able to meet your requirements for mold design and manufacturing, master tooling, quick change tooling and rapid prototyping. Our experience has enabled us to become a leader in resolution of tooling, design and manufacturing issues. We pride ourselves in our quality, innovative design solutions and quick turnaround utilizing leading edge technology. This enables our customers to get to production faster than they ever thought possible. We can assist you with all phases of your design/manufacturing needs from a specific design/manufacturing element to complete turnkey of your requirements.